Kratom is a “drug of concern” that is not federally controlled by the Drug Enforcement Administration (DEA). 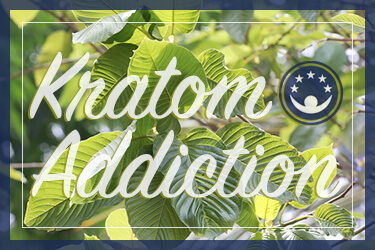 With narcotic effects similar to morphine when abused in high doses, as the New York State Office on Alcoholism and Substance Abuse Services (NY OASAS) reports, kratom may be addictive. In lower doses, kratom is a stimulant drug that may increase focus, attention, energy, and alertness while in higher doses, it may produce a pleasant and mellow “high” similar to opioid drugs. Kratom dependence may be formed when the drug is abused regularly for a period of time. Changes are made to the pathways and circuitry of the brain involved with how a person feels happy due to the way the drug interacts with opioid receptors in the central nervous system and floods the brain with some of the chemical messengers related to pleasure and mood. When the drug is removed, or leaves the system, after dependence has set in, drug withdrawal is often the result. The DEA reports that kratom withdrawal includes side effects, such as muscle and bone pain, tremors, nausea, fatigue, runny nose, mood swings, and hostility. A more serious withdrawal syndrome may include hallucinations, delusions, and confusion. Emotionally, kratom withdrawal may include symptoms like depression, or even trouble feeling pleasure, anxiety, and insomnia. Withdrawal symptoms and drug cravings are signs of addiction, which is when a person cannot control use of the drug. Once addiction sets in, people may take kratom in larger amounts and for a longer time period than they intended to and use it regardless of any behavioral, economic, social, emotional, physical, or relationship issues that may occur as a result. Illicit drug abuse costs the American people close to $200 billion annually in lost production at work, healthcare expenses, and criminal justice costs, the National Institute of Drug Abuse (NIDA) publishes. The National Survey on Drug Use and Health (NSDUH) estimates that more than 20 million Americans aged 12 and older battled a substance use disorder in 2014. Addiction to kratom is possible, making it one of the most serious dangers of abusing the drug. Up until 2014, kratom was marketed in the United States as a dietary or nutritional supplement. Due to numerous reports of health concerns and toxicity, the U.S. Food and Drug Administration (FDA) has since banned its import. Today, it may be sold in powder or tablet form under the radar in tobacco stores or head shops where it is labeled as “incense,” purchased online, or ordered in bars where it is mixed with drinks and sold as “ketum,” The New York Times publishes. Since it is not considered a controlled substance, it is unregulated and not standardized. As it is often sold illegally, the drug may not be what it is marketed as. There are no official drug labels for kratom in America to warn individuals of the dangers or possible side effects of taking it. The drug may be cut or mixed with other substances that may be potentially toxic or hazardous on their own, and a buyer may never know the level of purity or potency of kratom. A popular drink with young Muslims in southern Thailand, 4×100 is a mixture of the plant-based kratom and either a codeine-based cough syrup or caffeinated beverage that produces an effect similar to being drunk from alcohol, the DEA reports. Mixing kratom with other psychoactive substances can be highly dangerous, as they may have negative interactions with each other. Seizures have been reported with kratom abuse when taken along with other drugs, the Nursing Show publishes. Worsening depression and possible fatal drug interactions between kratom and other opioids, like prescription-based hydrocodone or morphine, have been reported by The New York Times. When taking more than one mind-altering substance at a time, each may exacerbate the potential hazards, side effects, and risk factors associated with each substance, and this mixing heightens the probability for drug dependence, addiction, or a life-threatening drug overdose. The Centers for Disease Control and Prevention (CDC) reports that almost 50,000 people died in the United States from a drug overdose in 2014, making overdose the leading cause of injury death in the nation. Kratom use and abuse comes with various dangers. If an abuse problem exists, comprehensive drug abuse treatment can help. The Internet is filled with websites proclaiming the benefits of using kratom, especially for people who want to overcome an addiction to opioid drugs. However, these statements are backed up only by anecdotal evidence and the companies selling kratom products. The statements are not backed up by science, which suggests that kratom is not safe. 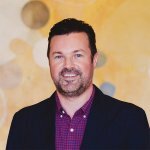 Although the Drug Enforcement Administration has not yet placed kratom into a drug scheduling category (drugs like marijuana, for example, are Schedule I, hydrocodone is Schedule II, etc. ), they are still considering their position based on information about kratom’s dangers. The drug is plant-based, from a tree that grows in Southeast Asia. Thailand, which has the largest population of kratom users, made the drug illegal in the 1950s because so many people in the country struggled with addiction to the substance. However, in the US, it has been sold as an herbal supplement for several years, bypassing the Food and Drug Administration and the DEA. Because safety regulators were bypassed when kratom began to be imported into the US, the drug has caused a spike in calls to poison control centers. Between 2010 and 2015, U.S. poison control centers received 660 calls about exposure to kratom; those calls increased rapidly each year. By the end of 2016, there were 480 calls about kratom poisoning in that year alone. While this is still less than other drugs – there were 1,772 calls about opioid exposure or poisoning in 2016 – the drug still holds the potential for overdose. Some people in the US have died from taking kratom. High-dose use for a long time leads to liver damage and kidney failure. Dark urine and yellowing of the skin and eyes are indicators of advanced damage to the liver and kidneys. Kratom specifically harms the liver, but when the organ is less able to process toxins, those toxins are then filtered out by the kidneys; the kidneys are not used to this work, and that can lead to kidney failure among people with liver damage. In traditional use in Southeast Asia, dried leaves are chewed or brewed into a tea. However, in the US, kratom can come in capsules or tablets, which means that the person may get a higher dose than they intend or that would be medically useful in any way. The higher, concentrated dose can cause serious side effects more quickly because herbal supplements are not regulated the same way that prescription drugs are. 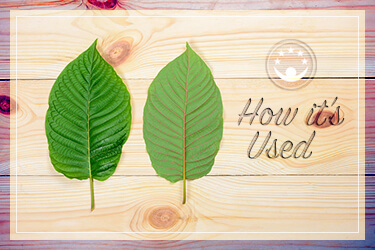 When kratom is available in dried leaf form, even that is not tightly regulated, so the dose is not controlled. Even people who have a tolerance for opioids or kratom can accidentally overdose because they are not able to properly dose themselves. Kratom may have some potential as an opioid addiction treatment, like methadone or buprenorphine, but it has not been studied thoroughly, so this claim is not verified. Meanwhile, the dangers posed by kratom are well documented. Of course, it is a potent drug, so kratom can lead to dependence, tolerance, addiction, and withdrawal symptoms. People who have struggled with heroin or prescription opioid addiction, and took kratom to overcome that addiction, report becoming addicted to kratom instead in many cases. As a result, it’s not a safe method to use to treat opioid addiction; instead, professional help is recommended.